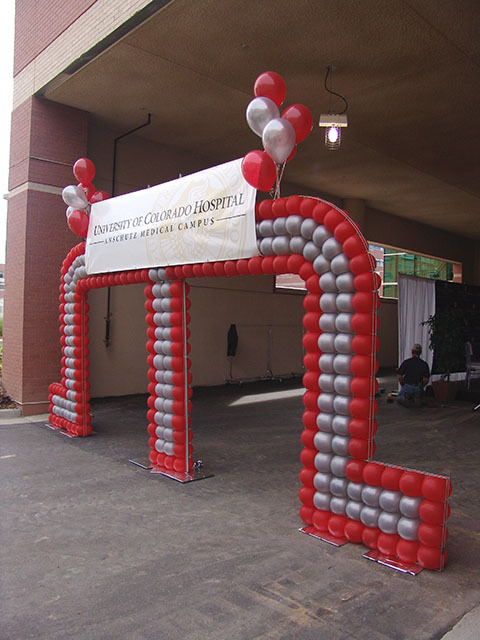 No need for boring balloon arches! 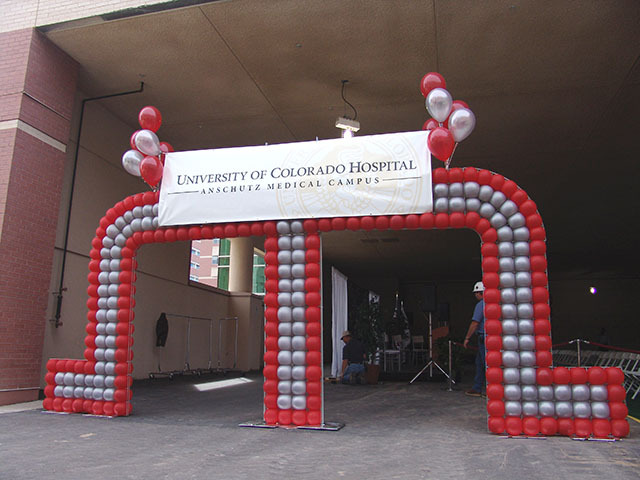 This custom SDS balloon arch is super classy and perfectly announced the new hospital facilities. Please allow for plenty of planning time for an arch like this. It is completely custom made!